Dental Health | What's Wrong With Gum? Could chewing gum actually be good for your oral health? Truth is, it depends what kind of gum you are chewing. If the gum is full of sugar, forget about it. But, if the gum you are chewing is sugar-free, it can actually have many benefits to your oral health. After all, in our last blog article, we learned the sugar-free chewing gum can defend against bad breath. Gum chewing has been oft criticized by many people over the years. You have probably heard from many places that it would damage your teeth. However, sugar-free gum can actually do the exact opposite. Sugar-free gum offers you some defense against tooth decay, dry mouth, and bad breath. If you struggle to produce saliva, chewing can be important in stimulating your salivary glands. That is why foods like carrots and celery are great for saliva production. Saliva is important because it neutralizes the acids in your mouth, eliminates bad breath, and is a natural defense against cavities. 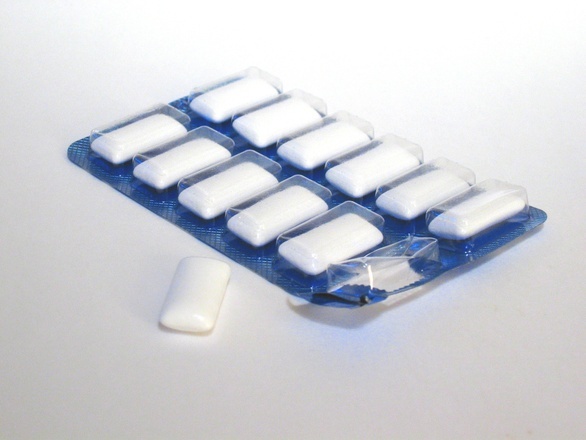 Specifically, you should look for gum that contains Xylitol. Xylitol is a sugar substitute that works against cavity-causing-sugars. Xylitol is not found in all sugar-free gum, so be careful which brand you choose. If you suffer from frequent headaches or TMD, you should try to avoid chewing gum. Chewing gum will introduce additional stress on your TMJ. If you believe you are suffering from TMD, you should schedule an appointment with your dentist sooner rather than later. Do you need a filling, a professional cleaning or a consultation? Contact our office in Sidney today to schedule a visit with Dr. Van Treese. If you are interested in receiving more oral and overall health tips, follow us on Twitter and Facebook.